Auto service and repair is our business! 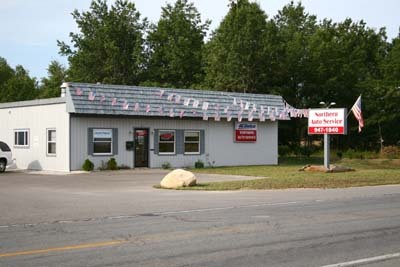 Welcome to Northern Auto Service in Traverse City, Michigan. We are a full service auto repair and maintenance shop located 501 South Airport Road, Traverse City, Michigan 49686. We service & repair all makes and models of cars, trucks, vans, and light-duty commercial vehicles using state of the art automotive service software to ensure the accuracy of our work and that your vehicle gets the excellent service it deserves. We offer a free shuttle service while your vehicle is in our service shop, so you don't have to depend on another person having to take you to and from our shop! Give us a call at 231-947-1840 or stop by and have a fresh cup of coffee and see our facility. From Dan, Owner: After 16 years working in various dealerships and dealing with the daily chaos caused by a lack of communication, I decided there had to be a better way! After all, our customers were not asking that much, they wanted their car fixed as soon as possible, they wanted their primary problem corrected before maintenance items, and they didn't want to have to bring it back for the same problem. Being smaller and more manageable, we concentrate on communication, before, during and after the repair and find everything else takes care of itself. Our technicians are ASE certified with an average of 20 years experience, and they're not afraid to speak with you personally concerning your vehicles needs.